The multi-service law firm of Schlaich & Thompson, Chartered is dedicated to the thousands of clients ― individuals and families ― we have diligently represented in the Harford County town of Bel Air and surrounding communities since 1998. 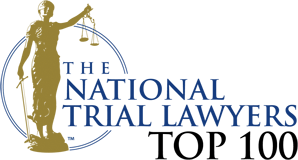 As Maryland natives, we share a steadfast commitment to providing our clients and our community with high-quality, skilled and affordable legal services ― and the personal attention each client deserves. We are proud of the relationships we build and nurture with our clients, and we work hard to earn your respect. Our Bel Air family, divorce & criminal lawyers know the legal community in the Harford area well ― the judges, prosecutors and other attorneys ― and the best strategies to use with them. We know how to guide you through the legal process to the outcome that most benefits you and your family. 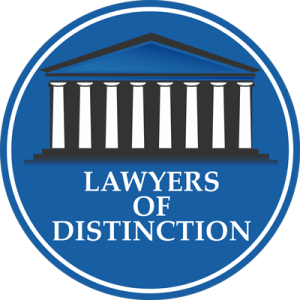 Criminal Defense Cases: What are my chances of avoiding conviction? Is there a possibility I will go to jail? Family Law Cases: When will my divorce be final? Are my chances favorable for child custody? How much will child support be? Personal Injury Cases: How will I pay my doctor bills? How will I be compensated for my pain, suffering and time lost from work? In all cases, our goal is to keep you out of the courtroom and take the most cost-effective path to a fair and just resolution. We are as skilled at achieving a positive outcome through negotiation or settlement as we are in litigation. If going to trial is in your best interest, we are aggressive litigators with a proven track record of winning cases. Our clients’ interests always come first. Schlaich & Thompson, Chartered proudly serves individuals and families in the Maryland cities of Bel Air, Towson and Elkton and throughout Harford, Cecil and Baltimore counties. An important note about our legal fees — they will never be a surprise. During our initial consultation, we thoroughly discuss the costs associated with your case. Our legal fees reasonably reflect the level of legal experience and personal attention we provide. If you are looking for high-quality legal representation at affordable rates, come see us. We look forward to being of service to you. Call us at 410-838-0004 or contact Schlaich & Thompson, Chartered online to arrange an appointment for a consultation. Our Bel Air family, divorce & criminal lawyers are conveniently located on Churchville Road (Rt. 22) between Moores Mill Road and Route 543. Parking is free.